Jennifer Chace, DMD, is an excellent dentist serving patients all over Brevard County. At Gentle Dental Associates, located in Melbourne, Florida, she has advanced training in cosmetic and general dentistry, transforming the smiles of her patients on a daily basis. A graduate of the University of Florida College of Dentistry, Dr. Chace treats patients of all ages. She has a unique ability to make her patients feel comfortable and relaxed during treatment, which has helped her form close personal relationships over the years. 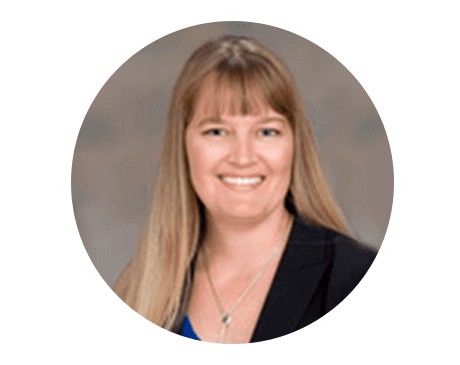 Dr. Chace has spent significant time in becoming a fellow with both the AGD (Academy of General Dentistry) as well as the LVI (Las Vegas Institute). Her additional training allows her to treat cosmetic cases as well as complex comprehensive dental rehabilitation. She has also developed an interest in treating sleep disorders, such as sleep apnea, with FDA-approved devices. Her understanding of complete dentures has aided many patients transition from failing natural teeth to a functioning and beautiful smile they wear with pride. She values staying up to date on the latest trends in the field of dentistry. That’s why she holds membership and keeps up with her peers in the ADA (American Dental Association), FDA (Florida Dental Association), and the AGD (Academy of General Dentistry. To schedule your next visit with Dr. Chace, call Gentle Dental Associates today or use the online booking tool.